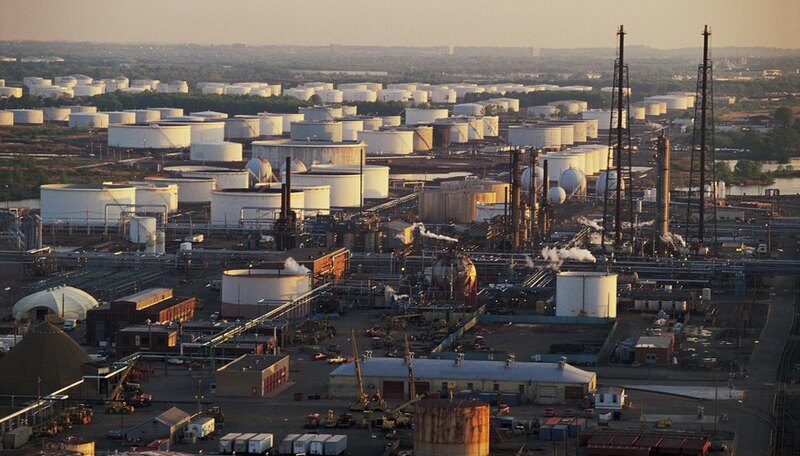 Petrochemicals are a range of organic hydrocarbons sourced from petroleum. The word "petroleum" is derived from the Latin words for rock and oil; it literally means "oil from rocks." Petroleum was formed over millions of years from the remains of living organisms. It is a dark, highly viscous mix of compounds which can be separated into its constituents. Petroleum is also known as "crude oil." After being extracted from the Earth's crust, petroleum is transported to oil refineries for separation and purification. The different compounds in petroleum are mostly nonreactive, but have a range of boiling points, meaning they can be separated using heat via a process called "fractional distillation." The lightest, most volatile compounds boil at around 70 degrees Fahrenheit with the heaviest, least volatile boiling at more than 750 degrees Fahrenheit. The light petrochemicals are used as bottled fuel and raw materials for other organic chemicals. The lightest of these -- methane, ethane and ethylene -- are gaseous at room temperature. Natural gas, the gas supplied to buildings, is primarily methane with an added odorant so it can be detected easily. The next lightest fractions are comprised of petroleum ether and light naphtha with boiling points between 80 and 190 degrees Fahrenheit. Hydrocarbons with between 6 and 12 carbons are called "gasolines" and are mostly used as automobile fuels. Octane, with eight carbons, is a particularly good automobile fuel, so a gasoline mix with a proportion of octane is considered to be of high quality. 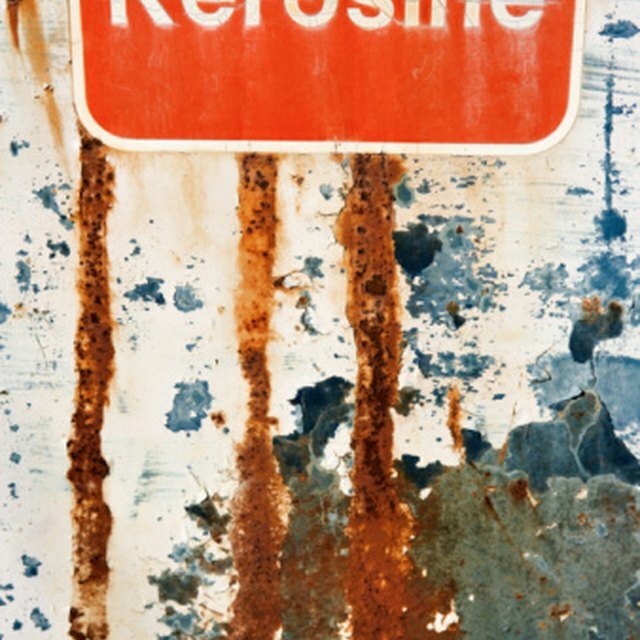 Kerosenes contain 12 to 15 carbons and are used as aviation fuels, as solvents and for heating and lighting. Heavy petrochemicals are used as diesel oil, heating oils for buildings and lubricating oils for engines and machinery. These contain between 15 and 18 carbons with boiling points between 570 and 750 degrees Fahrenheit. The heaviest fractions of all are called "bitumens" and are used to surface roads or for waterproofing. Bitumens can also be broken down into lighter hydrocarbons using a process called "cracking." Oil is a very highly sought-after resource, but most of the world's oil comes from a few countries. The majority of these are in the Middle East, including Saudi Arabia, the United Arab Emirates, Iran and Iraq. Other major producers include the United States, Russia, Mexico and Venezuela. It took tens of millions of years to produce this oil; however, according to the "The Independent" it is predicted that, at current rates of consumption, supplies could be exhausted by 2030. Richard Beglan spent eight years as a technical writer and editor with a scientific publishing company in London. He also served as a newspaper reporter in Australia. Beglan holds a Bachelor of Science in chemistry and a foundation degree in communications, both from the University of London. Beglan, Richard. "Classification Of Petrochemicals." Sciencing, https://sciencing.com/classification-petrochemicals-8724642.html. 25 April 2017.